This year, some of our airline partners will become the first to offer Gogo TV, our revolutionary live TV service for passengers. 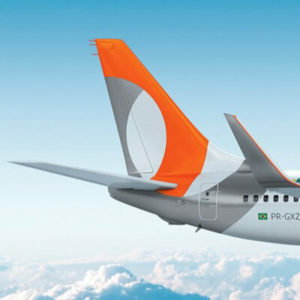 Gogo TV is an integral part of providing passengers with the latest inflight connectivity and entertainment technology. Along with high-speed internet from the Gogo 2Ku system and wireless on-demand streaming using Gogo Vision, our partners can offer some of the most robust connected experiences available. Gogo TV not only gives passengers access to live content in flight, but it also positions airlines as innovative and technologically advanced, giving passengers a greater experience compared to other inflight television products. To accomplish this, Gogo worked to combine many technologies that have existed on the ground, but have not yet been brought together on an airplane. Some of these technologies include Internet Protocol Television (IPTV), High Efficiency Video Compression (HEVC), and the networking standard of 802.11ac. The Gogo 2Ku system brings high-speed internet to airplanes globally using the Ku-band satellite network. With peak speeds of 70mbps+, the system supports the bandwidth necessary to stream live content to passenger devices. The 2Ku system is also compatible with high-throughput satellites which will allow for peak speeds of 100mbps+ and even more live channels to be streamed to airplanes with the system on board. 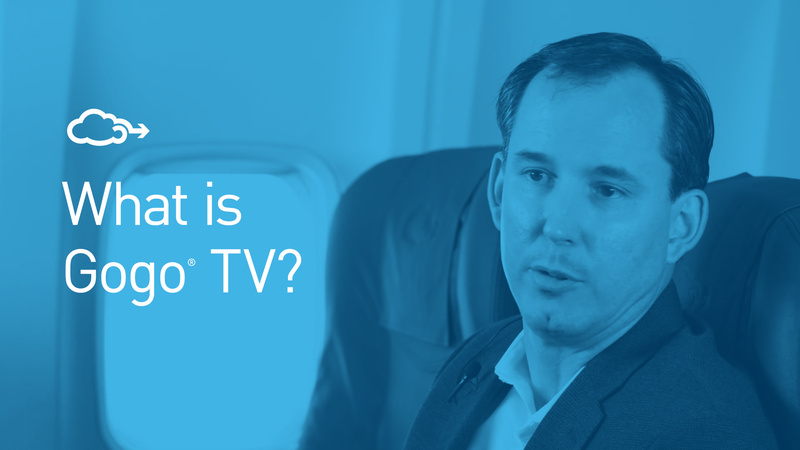 Because the content is streamed via connectivity and not traditional DBS systems, Gogo TV does not require an airline to install a separate antenna just to access live TV. This is important in weight and drag reduction and means that we can activate Gogo TV on a plane where 2Ku is installed within a very short amount of time. Internet Protocol television (IPTV) is the delivery of video content over a private network. On the ground, IPTV is very similar to streaming video from over-the-top (OTT) sources like Netflix and Hulu, but the difference is that IPTV uses a private network to deliver the content instead of public terrestrial, satellite, and cable television networks. This means that the network can be used entirely for streaming IPTV content to the end-user without impacting bandwidth for other uses like email or streaming music. This also applies to the network used by Gogo to deliver Gogo TV content to airplanes. 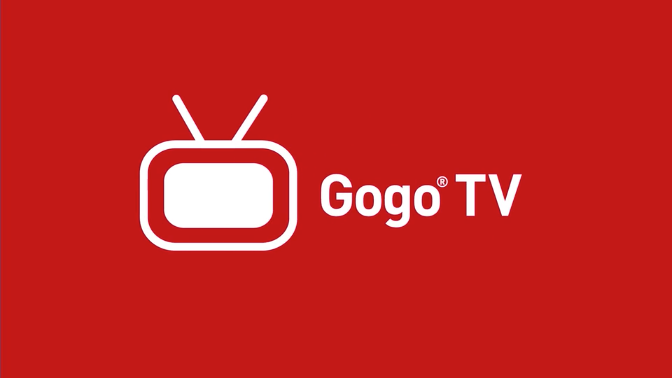 Gogo dedicates a set amount of bandwidth on the 2Ku network to deliver Gogo TV, ensuring that there is plenty of bandwidth to deliver a consistent, quality viewing experience while still providing sufficient bandwidth for other connected activities. HEVC is a video coding standard that is used to compress and decompress data for faster transmission while maintaining equal or greater quality of previous technologies. This newest standard, H.265, can compress video by almost 40% more than its predecessor H.264, providing nearly twice the efficiency for transmitting video content over IP. Gogo uses this compression technology to bundle live content and transport it over the 2Ku network to aircraft. 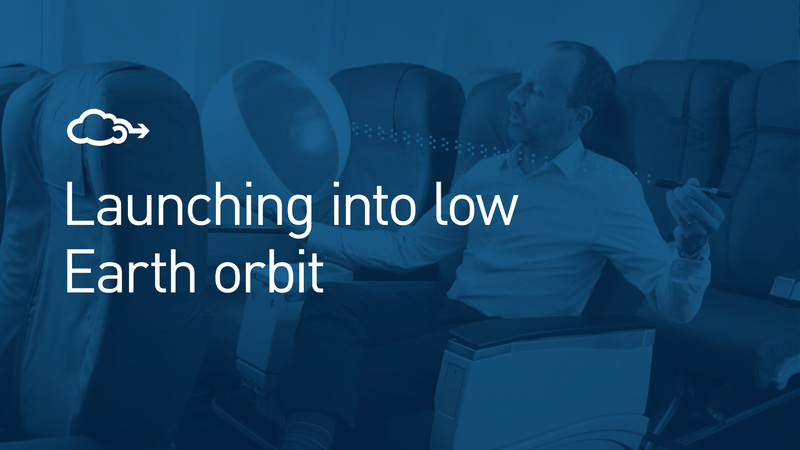 Once onboard, our airborne server (ACPU-2) decompresses the content for passenger consumption. This standard uses less bandwidth and helps deliver more content to the airplane. 802.11ac is a wireless networking standard used to provide high data throughput via wireless area networks (WLANs) using the 5GHz frequency band. Compared to the older 802.11n standard, it offers much more bandwidth to pass through the wi-fi antenna, meaning more data can pass through and more devices can be connected at one time. This is extremely important when streaming live content to devices on an airplane. The amount of bandwidth required to support streaming video is much higher once the content is decompressed back to the H.264 standard which is utilized in the cabin for greater personal electronic device compatibility. Gogo’s 2Ku system is installed with wireless antennas that use the 802.11ac standard, ensuring we are getting the most bandwidth to as many passenger devices as possible. Our success in combining complex technologies to create Gogo TV is important to Gogo, not only because it helps current and future airline partners create a better passenger experience, but it also inspires our teams to think of new ways to change the passenger experience. 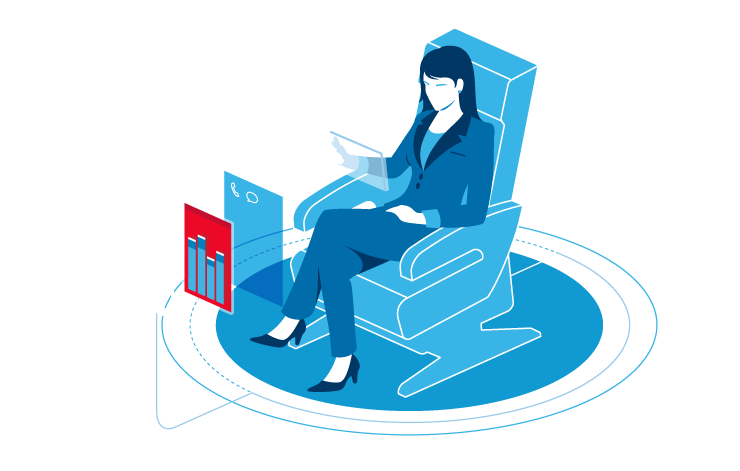 Gogo will continue to work internally and with our airline partners to develop innovative products like Gogo TV, all with the passenger experience in mind. Spend a minute learning about LEO satellites with Gogo's resident expert.